When Jay Mathews rushed out a response to his WaPo editors before my book was even on sale, I wasn't surprised that he would disparaging in his assessment of this, or any, book that provides a critique of the segregated corporate KIPP schools. What did surprise me, however, is that he would post a picture of his own book, which was published six years ago as a exuberant paean to the "founders," Feinberg and Levin, as they are referred to by their acolytes. At the end of Part 2 of his review, published yesterday, he invites the reader to read his book, as well as mine, and decide for yourself who is right and who is wrong. The problem with this proposal is that the two books, with a couple of exceptions that Mathews seizes upon, cover very different terrain and ask very different questions. 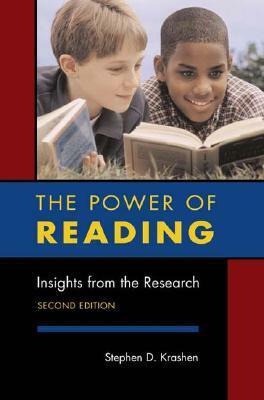 In fact, Jay's book asks no questions at all but, rather, sets out to tell us how, in a wooden sort of fairy tale fashion, how "two inspired teachers created the most promising schools in America." Mathews would have us believe that this sprouting and kudzu paced growth of KIPP resulted from two young geniuses inspired by a "magical" teacher godmother who sprinkled her fairy dust on them and gave them her blessing. The facts, however, are a bit more complicated and prosaic. KIPP sprang from the corporate conceptual ground provided by Teach for America and its market-centered and publicly-fed neoliberal agenda, and it was fertilized and manicured by tons of tax-sheltered cash provided initially by renowned conservative GAP founder, Donald Fisher. It did not hurt, either, that KIPP was asked to do a skit at the 2000 National Republican Convention. As for the godmother teacher in Jay's fairy tale, Harriet Ball, her ideas were harvested by the KIPP machine, and she was left unpaid for her intellectual property. 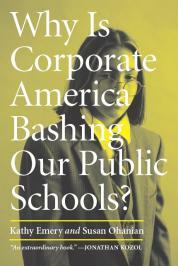 As an antidote to the KIPP Foundation’s marketing and public relations outreach, which can be found in any number of examples from both print and non-print media, this book offers a critical eye and raises serious questions related to public culpability for a punitive type of tax-supported segregated schooling that our dominant culture celebrates only for children who are disenfranchised by poverty and discrimination. As one former KIPP teacher wondered aloud near the end of our interview, would such schooling practices that we see at KIPP be allowed for the children of white philanthropists who fund these schools. Or would KIPP practices be allowed in the private schools attended by the supportive politicians’ children, or for the KIPP administrators and teachers who would never allow their own offspring to be subjected to a harsh, total compliance charter school like KIPP? How did the spread of an unsustainable boutique education intervention like KIPP reach its exemplary status among the advocates of education reform? How did high achievement expectations become exemplified by total compliance enforcements that are applied only to the segregated and economically disadvantaged children? How did economic and social advantages and resources become insignificant factors to school achievement only for those who don’t have such advantages and resources? What rationale is used for insisting that children who are handicapped by poverty and all its attendant problems will achieve equally on standardized measures with children who have every economic and social advantage? How do the grim and punitive environments of No Excuses schools remain underreported by the media and, otherwise, ignored by policymakers and child welfare advocates? What may serve as more humane, sustainable, diverse, and democratic alternatives to the No Excuses charter school teaching model? By presenting the firsthand facts about teaching within total compliance No Excuses schools, this book goes beyond accounts offered in news features, articles, and interviews that focus only on KIPP Model’s test scores and its goals for expanding college opportunities among economically disadvantaged children. In short, this book offers a naturalistic palliative to the naïve and misleading portrayals of No Excuses schooling that have garnered support among political and economic elites. 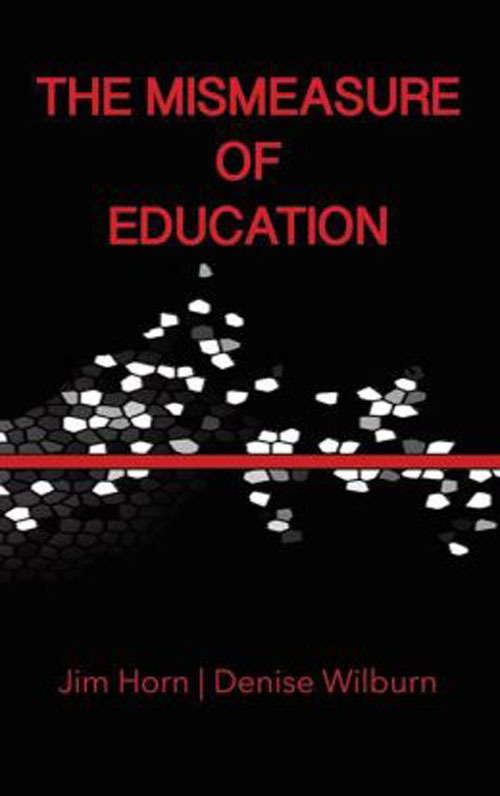 From discipline that crosses over from rigorous intent to abusive practice, and from teacher expectations that go beyond the upper reaches of possibility into the stratosphere of the absurd, this book presents accounts by former teachers who forthrightly share experiences in total compliance schools that have not been heard before and that are not likely to be soon forgotten. 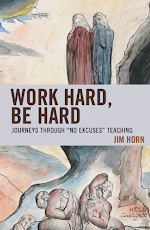 Finally, Work Hard, Be Hard… examines new developments in No Excuses schooling practices that, in addition to academic remediation, now focus on psychological interventions intended to alter children’s neurological schemas in order to effect changes in their emotional and socio-cultural values and behaviors. Fraught with potential for abuse by non-professionals who remain laser-focused on test performance and grades for “performance character,” these latest developments are explicated and then contrasted with other orientations and practices that acknowledge both the sociological and psychological sides of children’s experiences. In doing so, I hope to reawaken the virtues of teaching and learning within the expansive boundaries of the science and art of humane pedagogy applied to children who require the most caring, qualified, and experienced teachers. The title for this post says it all. Matthews is so caught up with himself that he can't begin to approach this topic objectively or reasonably. I've had a few email exchanges with Matthews in the past, and his evasiveness to my questions spoke to effortless duplicity and dishonesty on his part. I also find his suspect "compare our books" schtick to be laughable. You're a distinguished university professor, he's just an opinion reporter, and a fairly poor one at that. I always thought the old "class struggle" title of his WaPo column was somewhat ironic, but now I realize it wasn't ironic at all. Matthews is clearly a foot soldier on behalf of the ruling class, and his shilling for vile profiteers like Feinberg and Levin demonstrate he as quite adept at serving those masters. One last thing regarding Jay Matthew's mendaciousness. He says in his latest attack on Dr. Horn's watershed book that KIPP (known by its victims as the Kids in Prison Program) is the largest chain of privately managed charter school in the country. This is patently incorrect. That dubious honor belongs to the network of Gülen affiliated charter schools.